As Chair of the Florida Economic Development Council’s Executive Committee, Mike continues his commitment to outreach, education and community service as a leader in economic development. With Pinellas County Economic Development, Mike continues to focus on helping Pinellas companies grow and expand employment, encouraging entrepreneurship, and recruiting new businesses to the community. Suzanne Christman started with Pinellas County Economic Development in December of 2000 and was appointed Senior Manager of Business Development in June of 2003. She manages the department's business expansion, recruitment, retention, Brownfields redevelopment, and international trade initiatives. Prior to joining Pinellas County, Suzanne served as Business Development Officer of Buffalo Niagara Enterprise, a regional, privately funded economic development agency. Previous to this, Suzanne served as Member Services Manager for the largest regional chamber of commerce in New York State, the Buffalo Niagara Partnership, which served over 3,500 members. Suzanne is a graduate of the University of Phoenix and has received the distinction of Certified Economic Developer (CEcD) through the International Economic Development Council (IEDC). She has served various professional, civic, and community organizations including the Florida High Tech Corridor Council and the Florida Medical Manufacturer's Association. Scott Talcott joined Pinellas County Economic Development in June 2010, as a Business Development Manager specializing in the industry sectors of Advanced Manufacturing, Aviation & Aerospace, Information Technology and Defense and Homeland Security. Scott’s focus is on expansion, training and retention of local employers and their workforce. In addition, he attracts out of State employers in the same target industry groups Scott previously worked with Pinellas County in 2001 as the Services Manager for the Florida Botanical Gardens. Prior to joining the Economic Development staff, Scott served as a Marketing Director with a local ophthalmology practice. Scott has been a non-profit Executive Director and Fundraising Executive for sixteen years. Following his entrepreneurial instincts, he also started his own online retail business in the fall of 2005. Scott has completed two Chamber Leadership Programs, Toastmasters International’s CTM certification and numerous business and non-profit leadership training programs. He graduated from East Carolina University with a Bachelor of Science in Early Childhood Education. Andrea Falvey joined Pinellas County Economic Development in February 2011, as a Business Development Manager specializing in the industry sectors of Life Sciences, Medical Technologies and Business and Financial Services. Andrea will focus on the expansion, training and retention of local employers and their workforce. Andrea’s past experience includes her role as Economic Development Analyst with the City of St. Petersburg’s Planning and Economic Development department. There, she specialized in the city’s Brownfields redevelopment program, marine science cluster and served as the program manager for its Bank on St. Petersburg program. Prior to her work with St. Petersburg, Andrea spent five years with an industrial and commercial property development firm in Tampa. Andrea holds a Bachelor of Science degree in Biology from the University of South Florida (USF), and an MBA with course concentrations in marketing, finance and management, also from USF. She received the distinction of Certified Economic Developer (CEcD) through the International Economic Development Council (IEDC). Brent Barkway joined the staff of Pinellas County Economic Development in August 2014 as a Business Development Manager specializing in Export Development, Foreign Direct Investment, Foreign Trade Zone management and expansion/relocation projects. Brent’s focus is helping local companies explore international markets by leveraging available resources on a global scale. In past years, Brent has led successful trade missions to markets throughout Central and South America and has conducted Foreign Direct Investment missions to Europe and Canada. In 2014, Brent collaborated with regional partners to launch Global Tampa Bay, the trade and investment collaborative that brings together the resources of Pinellas, Hillsborough and Pasco counties to promote the region internationally. Brent honed his economic development skills in Southwest Florida, where he managed the relocation of Hertz corporate headquarters to Lee County while simultaneously managing the corporate headquarters relocation of Dollar-Thrifty car rental which Hertz had recently acquired. The result was the creation of hundreds of local high-paying jobs and millions of dollars of economic impact for the region. Prior to his move to Florida, Brent worked for the Virginia Department of Rehabilitative Services to spearhead regional programs in Southeastern Virginia designed to initiate job development for citizens with disabilities. Brent holds a B.S. in Advertising for Ferris State University in Michigan and has earned the distinction of Certified Global Business Professional (CGBP) from NASBITE International. Dede Haggerty joined Pinellas County Economic Development (PCED) in March of 2002. She has been a resident of Pinellas County 90% of her life, leaving only to obtain her Bachelor's Degree in International Management and work for a few years in Orlando as an Operations Manager overseeing six branches for AmSouth Bank. As a Business Development Specialist, Dede handles the Business Development division's budgetary and capital investment tracking, manages several databases, including the Commercial Real Estate Database portion of PCED's website, and is the first point of contact for incoming leads. She creates customized web pages by conducting research and compiling information to meet the company's specific needs. Dede works closely with our municipal Economic Development partners to assist in the retention aspect of our mission. Dede holds a Masters Degree in Business Administration and a specialized certification as an Economic Development Finance Professional. Dr. Cynthia Johnson started with Pinellas County Economic Development in 2000 and was appointed Senior Manager of Business Assistance in 2001. She manages the department’s entrepreneurial and small business assistance and development initiatives. In 2018, she was charged with spearheading the County’s inclusion initiatives to diversify the supply chain. As an economic development practitioner, trainer, mentor, and educator, she has supported hundreds of individuals with the creation, retention, and expansion of their businesses. Cynthia’s career began with the Broward County School District in Miami as an instructor. She later transitioned into Educational Leadership with the School District of Pinellas County, developing curriculum, managing discipline, and building relationships with community leaders and local business partners. Her innovative leadership style lead to the management and development of the FSBDC at Pinellas County Economic Development in 2010. 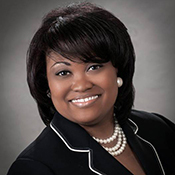 As the Center Director for the FSBDC, she specializes in federal and state grants management and compliance, business and strategic planning, entrepreneurial development, finance and small business innovation research initiatives. She has more than 18 years of experience in economic development and over 25 years in training and development. Cynthia is a graduate of Florida Memorial University, Miami, FL with a BS in Education and holds a Doctorate in Educational Leadership & Organization from Nova Southeastern University, Ft. Lauderdale. Kurt Forster has 30 years of experience in business and holds a Master's Degree in Communication from the University of South Florida. His strengths include assisting small and medium businesses with marketing tips and plans, business plans, strategic plans, financial plans, and borrowing money. His background not only includes experience as a Marketing Director, Educator, and Economic Development Professional but also as the owner of several successful market research companies. In addition to serving thousands of businesses in the community while at the Florida Small Business Development Center and Pinellas County Economic Development; he enjoys spending time surfing and skiing with his two children and wife of 26 years. He is also known by many as a Standup Paddleboard racer, adventurer, and Certified Paddle-Fit Pro Instructor. Yolanda Cowart works in the Florida Small Business Development Center at Pinellas County Economic Development, providing assistance to aspiring entrepreneurs and small businesses. She has a total of 15 years of local municipal experience. Before making the transition to Pinellas County Economic Development, Yolanda worked as a Human Relations Specialist for Lee County Government, where she served as the County Liaison to community and advocacy groups, including the Disadvantaged Business Enterprise Council. In Broward County, Yolanda served as the Equal Opportunity Director for the City of Fort Lauderdale, where she managed the Business Enterprise Programs for capital improvement plans and construction projects through both the Federal Department of Transportation and Federal Aviation Authority. Yolanda is a graduate of Florida State University with a BA in Political Science and History. She also has a considerable amount of graduate courses under her belt in the University of South Florida's Public Administration Program. Jenée Skipper is a Business Assistance Specialist with the Florida Small Business Development Center at Pinellas County. Jenée joined the Pinellas team after serving as a valued business consultant. In this role she focused on client outreach, business recruitment, technical and financial services, and workforce assistance. She continues to build on these strengths as she assists pre-venture and start-up clients as they explore launching new businesses. Jenée has a background in human resources and is a skilled job developer, recruiter and human resources representative with a professional focus on staff training and development, as well as project management and business processes. She uses these talents as she assists FSBDC clients with their workforce, recruitment and organizational needs. Jenée’s previous experience includes work with a Global Technology Consulting Firm and service with the local workforce board. She holds a degree in Organizational Studies from Eckerd College.